Have you always wanted to run a Color War (a.k.a. Color Olympics or Color Clash)? Do you run a day camp and are unsure how to run a Color War? Are you wondering how you can run a Color War in just one day? Are you unsure what a Color War even is? A Color War is an event where teams are assigned a color and compete in a variety of challenges and competitions. It can last a whole summer, a few weeks, a few days or even a few hours. It has been a tradition of many camps for decades. This book holds a collection of ideas that can be used at just about any camp, school or social organization. Whether you are used to running Color Wars or you have never run one before, the tips, tricks and ideas in this book will be extremely helpful. They have been tested and submitted by camp professionals from all over North America. What is your time worth? Learn what has worked for other camps. This book will save you many hours. And many more themes, suggestions and thoughts from camps who run successful Color Wars. I have followed Curt ‘Moose’ Jackson’s amazing blog, summercamppro.com, since becoming director of my day camp. His blog and the open forum he created on his blog meshed so well with the culture I was striving to create. For years, I had been attempting to introduce Color War to our camp, but it always seemed daunting and overwhelming, especially for a day camp format. This year, my assistant and I decided we would try it and when I came across this compilation of ideas from his website, I was overjoyed. It was a go-to resource for ideas to make the experience easier to plan to to make it memorable for our campers. Thank you, ‘Moose’! Moose Jackson has been compiling the best of the best for years, and it shows! As a YMCA Camp Director in NH, I’ve been following and contributing to his blog for a long time. This book is great to reenergize your activities in color war – you can be a resident camp, day camp, facility camp, or after school program! If you work with children, you should have this book – the activities can expand beyond ‘color war’ and just be in your weekly lesson plans. Great large motor and small motor ideas, team building, relationship development… all important factors in youth development! I have been running a color war theme week at my camp for the past 2 summers. 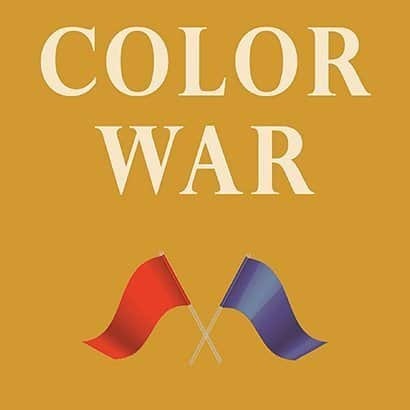 I purchased Moose’s book to spark some new and creative ideas to help boost our Color War! What a great book and since this is the camper’s most favorite themed week…the book has been instrumental in keeping Color Wars new and FUN!!! Thanks Moose! I was totally new at putting together a summer camp ‘Color War’. This book was invaluable in helping me create the right atmosphere, plan out our days and come up with some great war games. I did a lot of searching the web and basically it was all in this publication.